The next Image Comics ongoing series from writer Joe Keatinge (SHUTTER, Adventures of Superman), RINGSIDE, introduces artist and co-creator Nick Barber for an ensemble drama set around the world of professional wrestling. An exclusive teaser trailer featuring all-new material from RINGSIDE #1 will debut in THE WALKING DEAD #147 in stores on October 14th and will outline the new series' characters and storyline for the very first time. First announced at Image Expo in July, the noir-inflected RINGSIDE explores the diverse relationships within professional wrestling as art conflicts with industry, fact conflicts with fiction and, overall, delves into how far people are willing to go for what they believe in, no matter how violent the result. As the series progresses perspectives will shift from the wrestlers themselves, the staff they work with, the suits in charge, and the fans cheering them all on. 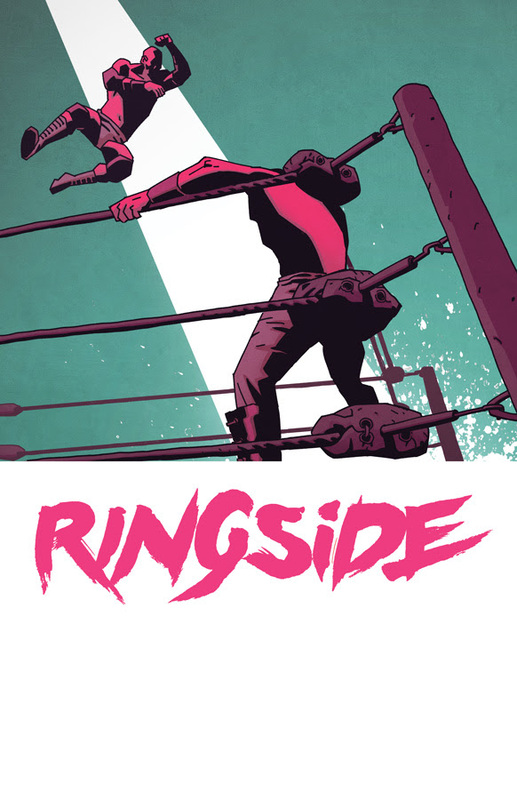 "Ringside’s set in the often brutal crossroads between what people do for the things they love most and what they're willing to sacrifice for them," said Keatinge. "While Ringside's certainly a dramatization, you would be hard pressed to find a group of women and men who give up their lives for the entertainment of millions across the world as much as those who enter the ring." RINGSIDE #1 (Diamond Code SEP150595) hits stores on Wednesday, November 25th. Final order cutoff deadline for retailers is Monday, November 2nd.